Lámh supports communication - between parents and child, between siblings, between friends. It can be a stepping stone to communicating with the world. If you're new to Lámh, find out about learning and using Lámh. Lámh is a manual sign system used by children and adults with intellectual disability and communication needs in Ireland. Lámh signs are used to support communication. Using Lámh encourages eye contact and attention to movement. These are skills that are important for speech development. Using sign assists people to develop vocabulary and language skills. They have a means to try out and practice how language works. Many children and adults with communication needs can understand much more than they can express verbally. Signing can provide a means of taking part in conversation. If their speech is unclear or limited, the Lámh user may be more easily understood when they use signs. When you are understood you are delighted to realise you have been successful and are more likely to keep on trying - to try new words and say more! Using gestures and making signs comes earlier for many children than saying the corresponding word. For many people using Lámh, it is easier to recognise and make gestures with their hands that it is for them to make speech sounds at first. Lámh users may be more easily understood when they use signs with speech. When a person uses sign, the listener can have a better chance of understanding the message. Frustration is reduced when people are provided with a way of communicating. After you have attended training, you will be able to revise the signs you have learned on your specific Lámh Training Course online through Lámh Signs - our Online Video Resource. 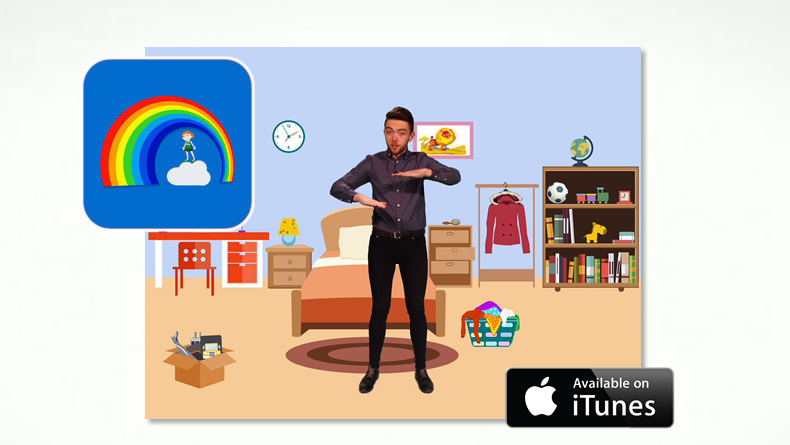 A play and learning app for children who use Lámh Signs© to support their communication, and for families and professionals using Lámh Signs with them. The Little Lámh App helps families to begin to use Lámh signs to support their child's communication with videos and descriptions of 26 Lámh signs. How do you find out about learning Lámh? Read about Lámh for Families. An introductory workshop for families of babies who may go on to use Lámh signs or families who require a small number of signs. The Family Lámh Course can be attended by parents, siblings, grandparents and others close to the family. The Family Lámh Course gives families the skills to support their child's sign use alongside Lámh sign training. Families say they enjoy the opportunity to share experiences with other families. Families who have been to the Lámh Family Course may be interested in the Part Two Family Course, to learn more signs, or get sign practice with a Lámh Tutor, or to talk about their Lámh use with other families.